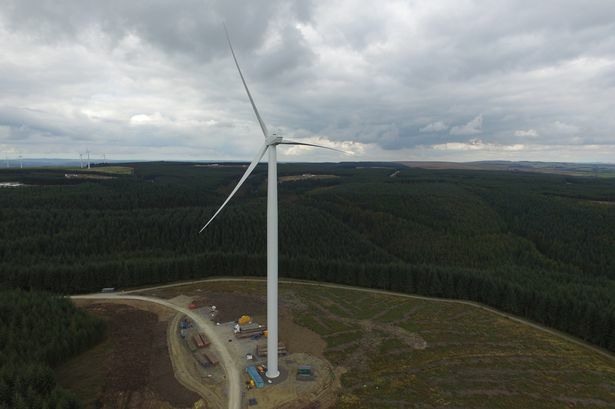 Brechfa Forest West is Innogy UK’s latest onshore wind project, and has garnered significant acclaim for its sensitive visual layout, and for incorporating good environmental management and public access as part of the site improvement. The windfarm will generate £11m of community benefit fund over the project lifetime (25 years), with the contract to administer the fund going to Antur Teifi, a local enterprise agency. The project is rated at 57MW, and therefore is a significant contributor to Wales’ renewable electricity generation capacity. Since April 2017 the project has moved to ‘energised’ status, and then to full and final commissioning. The community benefit fund has released its first funding, including to a Welsh-language secondary school in Carmarthen. YnNi Teg is a Community Benefit Society, meaning that anyone (aged 16+) can become a member by purchasing shares, thereby becoming a part-owner of a wind turbine. The turbine is expected to generate about 2000MWh of electricity per year (enough for about 650 homes) and to date they have raised over £450,000 in their community share offer so far. 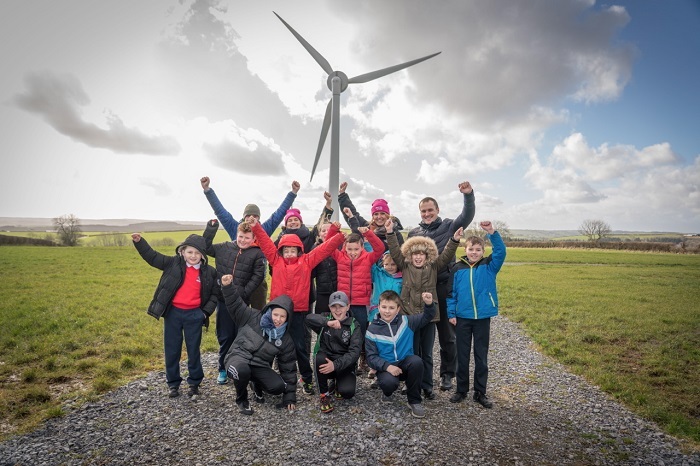 The community wind turbine in Carmarthenshire generates clean, renewable energy while helping to build stronger and more resilient communities across Wales. There is a local community fund aimed specifically at people living closest to the turbine. This will be spent in consultation with the local community on projects that have some connection with the environment or climate change and what the local community wants to see happen. The turbine will generate clean energy for many years to come and the community fund will support the local community for at least the next 19 years. Our intention is that this is just the first of many such projects that YnNi Teg will build, we will be looking for opportunities for more projects to help make community energy a significant contributor to a low carbon future and mitigating climate change. Garwnant Visitor Centre is a visitor, conference and education centre used by schools, colleges, public, professionals and local businesses. It is owned by Natural Resources Wales (NRW) and located to the north of Merthyr Tydfil in the foothills of the Brecon Beacons National Park just off the A470. The site is situated within mountains and managed forestry land and takes advantage of natural resources such as hydro power from nearby streams and south-facing aspects for photovoltaic power. A key aim of the project was to develop and deliver all electricity needs through renewable energy generation. 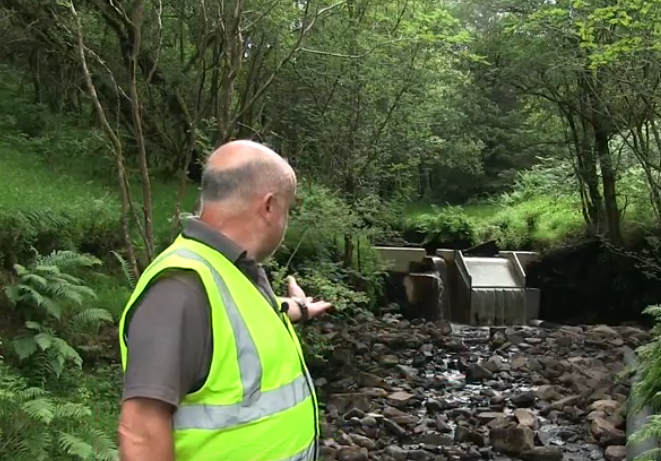 This has now been achieved through three separate renewable energy power sources developed and installed from 2013 to 2017 with the final energy source being the micro hydro scheme completed in September 2017. The three renewable energy technologies located at Garwnant enable the visitor centre to be carbon neutral by generating around 55,000 kWhr per year (annual use of 12 household equivalents) and play a key contribution to the Carbon Positive Project and decarbonisation of their built assets.